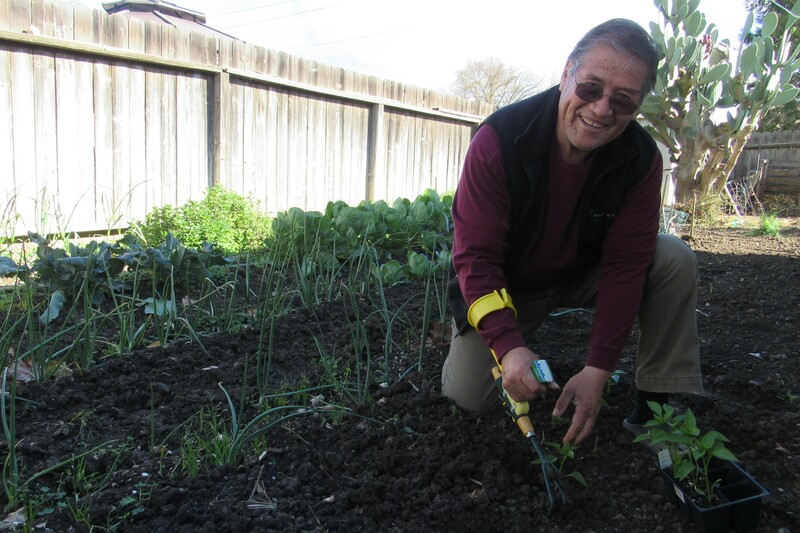 Hermenegildo Varela contacted California AgrAbility when he needed to transplant seedlings in his garden. California AgrAbility met Hermenegildo at a local health fair, where ergonomic garden hand tools were on display. These tools caught Hermenegildo’s eye, as he tried the tools and spoke to AgrAbility staff, he knew these tools would benefit him while he was working in his garden with arthritis. California AgrAbility connected him with the Easi-Grip Short-Handled Garden Tools on the Ability Tools Device Lending Library. With these tools, Hermenegildo is able to rake and transplant without pain because these tools do not aggravate his arthritis. His fruitful garden is often used as a site to teach promotores about gardening and now includes ergonomic tool tips. Hermenegildo is an active community member in the agricultural community of Woodland, California. He has been leading chronic illness management courses in Spanish for farmworkers for over 15 years.